Josh Hallmark is the podcast host and producer of not only the Our Americana Podcast, but also the podcast network of the same name. The Our Americana Podcast Network curates and creates podcasts that celebrate American storytelling, mythology, and folklore. It's also home to it's titillating new show with a quickly growing cult-like following, The Karen & Ellen Letters. 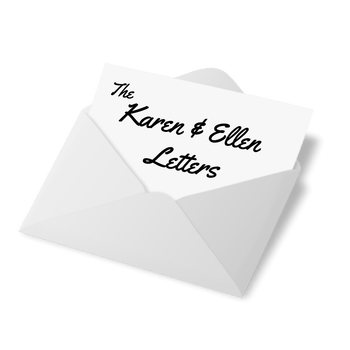 The Karen & Ellen Letters are a series of real letters from the 1980s between a landlord and his two, naive and unbelievaby demanding young, female tenants. We discuss how the unique premise of this podcast has all the elements for Serial-Like success. After a six month road trip around America, Josh discovered podcasts (starting with Serial), and also discovered he had a story to tell about small town America. The yearning to stay connected to the small towns he visited, was what inspired his first podcast, Our Americana. Podcasts give us an opportunity to have open-minded conversations with non like-minded people. We can use this to change false perceptions about people, and communities different than ourselves. Josh's biggest obstacle is financial. He doesn't have the resources to record in a studio, so he doesn't have the sound quality he'd like. Josh uses a primitive process for recording by using his iphone earbuds in his dining room. Right now, he is doing all the recording, marketing, PR. editing, research, and production. He can work 100 hours a week, and it never seems to be enough. Josh podcasts full-time. He hopes to continue monetizing through listener support. After he passes the $1,000 a month threshold, he plans to give back to charities that support the people in the small towns he has grown to love. The Our Americana Network has three additional shows launching this year. Including a show that is hosted by a young trans woman, documenting her raw, non-political story of gender transition. Josh has the support of his boyfriend who is 110% behind what Josh is creating. Podcasting without that support would be extremely difficult. Josh is a bit nervous about the popularity of The Karen & Ellen Letters. Some of his listeners are rabid fans, and have done their own sleuthing to find the real identities of Karen and Ellen. Josh has to work on taking on too much. He is working on how to incorporate help as he monetizes. He doesn't think what podcasts are making in general is out of sinc with the amount of work that goes into producing a quality show. Josh wants to see a Hulu-like model in the future of podcasting that celebrates good, indie producers, not just the usual shows in the top 100 lists on iTunes. Josh's Hypothetical Podcast About His Life: "It's Ok To Laugh At This"
You can listen to The Karen and Ellen letters on Podbean and iTunes. Once you get addicted to the show, join the Karen & Ellen Letters Facebook group. Copyright 2016 Podbean. All rights reserved.